Named for pioneer settler Donald Ross, the area known as Rossdale is rich in human history. 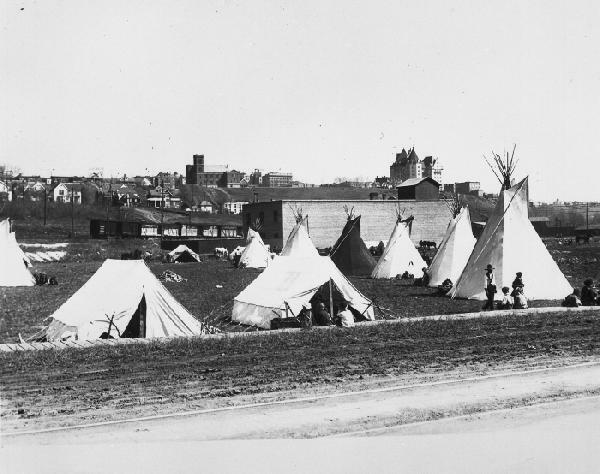 It was here that Edmonton began life as a fur trading post in 1801, and where Alberta was inaugurated as a province in 1905 by Prime Minister Sir Wilfrid Laurier. In the early days of the 20th century, it was the birthplace of Edmonton Power. Situated on the broad flat scoured by the North Saskatchewan River and now at the north end of the Walterdale Bridge, it’s easy to see why this was a place First Nations people gathered for thousands of years. The river was the principal transportation corridor in prehistoric and early historic times, and fur trading companies chose the north shore of the river right here for the trading outposts of Fort Edmonton and Edmonton House.